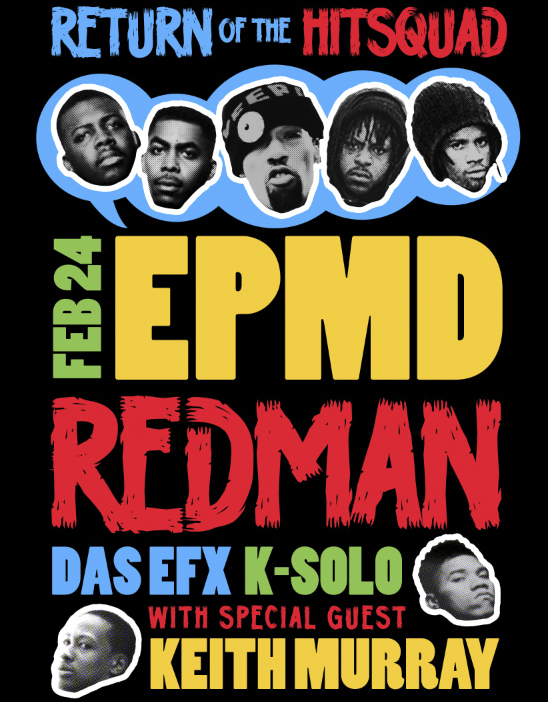 February 24th, 2012: the Return of the Hit Squad: EPMD, Redman, Das Efx, K-Solo, and special guest, Keith Murray. The reunion show was at the Best Buy Theater (now called the Playstation Theater) in NYC. Method Man also touched the stage, as well as DJ Scratch holding it down. The final track of the night was the posse cut, 'Headbanger,' with Redman crowd-surfing!